With the rising costs of healthcare, there is a growing concern amongst healthcare professionals that the traditional approach to treating patients isn’t enough. This leads to the concept of population health where the providers manage everything from preventive and maintenance care to long-term care for specific populations. Population health considers the ‘population’ to be an entire community and not just those who visit the doctor’s office. The providers identify that the success of population health depends on a number of factors, from public health interventions, genetics, medical care to social factors such as employment, education, and more. The emergence of advanced analytics tools has come to help population health providers effectively leverage the data to stratify patients by risks and build targeted care plans that drive better outcomes and reduce costs. This also helps providers to stay in tune with value-based care reimbursement model and accurately determine the role of various factors that affect the population health. Population health providers, aspiring to adopt preventative care and chronic disease management programs, look for healthcare IT vendors to access and evaluate data that can enhance care delivery. However, the market today abounds with a bevy of population health management solution providers and finding the ones who can help organizations implement robust population health programs could be difficult. To help CIOs navigate this flourishing landscape, a distinguished panel comprising CEOs, CIOs, VCs, industry analysts and Healthcare Tech Outlook’s editorial board has shortlisted the leading population health management solution providers who are at the forefront of imparting cutting-edge solutions to meet the urgent needs of the industry. 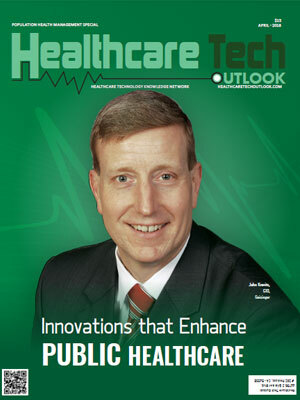 We present to you Healthcare Tech Outlook’s Top 10 Population Health Management Solution Providers - 2018.